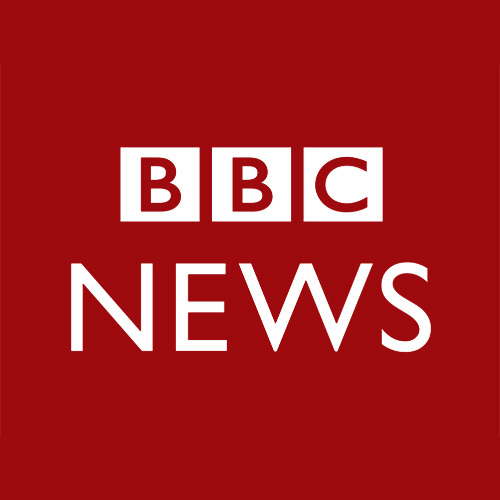 Many analysts have compared Donald Trump's campaign with that of Barry Goldwater, the outspoken conservative Arizona senator who lost in a 1964 landslide to Lyndon Johnson. On Saturday Trump invited the comparison, hosting a fundraiser in the late Arizona senator's former home. 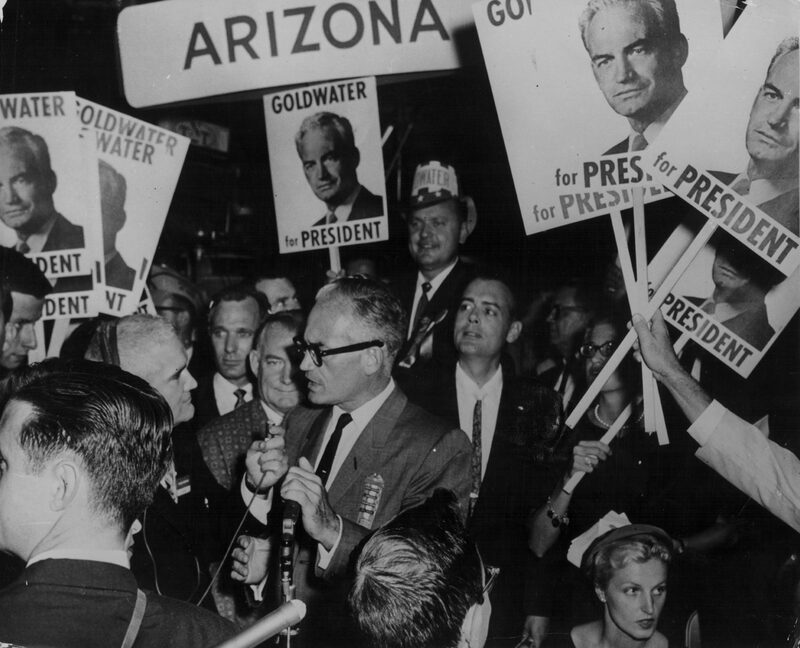 The Goldwater family no longer owns that property in Paradise Valley, Arizona, but the event has nonetheless fueled comparisons to the conservative icon. Here & Now's Peter O'Dowd talks with Goldwater's son, former California Congressman Barry Goldwater Jr., and Elizabeth Shermer, an assistant professor of history at Loyola University Chicago. Interview Highlights: Barry Goldwater Jr.
"On the surface it looks like it is, they both seem, based on recent things that we've learned, that Donald Trump is not quite the businessman that he's made himself out to be. Barry Goldwater was not the retailer. He really inherited his father's department store and turned it over. There's also a lot of excitement about these two candidates. There's also a distrust about who, either now or back then, was sort of the established figures in the GOP. And they really seemed to be defying the party, but also the potential of wooing away disaffected voters, particularly from the Democratic Party, in both cases. And also they both seemed, for their particular time, very coarse. There's a lot of concern right now about Trump meeting with evangelicals. Can he make them feel OK about his multiple divorces? Barry Goldwater styling himself as ‘I am not of that elite Nelson Rockefeller, Patrician world. Instead I'm a cowboy conservative. Ignore the pool in the background of me sort of behind the Arizona landscape.’ But it doesn't really work when you get past that, because Barry Goldwater by the time he's running for president, by the '60s, he's an established politician. That's really what he'd made his career of. Trump is not." “Well the way we have to think about Barry Goldwater and the early conservative movement coming around him, that would eventually make him its candidate because he's a part of a broad movement, is that they're standing for a repudiation of modern liberalism, New-Deal liberalism. And they hated Republicans like Nelson Rockefeller, called ‘me-too’ Republicans or liberal and moderate Republicans who seemed, and this is Goldwater's famous indictment of Eisenhower, that he was giving America a dime store New Deal. “The interesting things about Barry Goldwater, and one of the things that people don't know about his early political career is that he was actually working a little bit with the NAACP. In fact, Phoenix school districts were desegregated a year before Brown. And what's interesting about that is for him, the way that Goldwater would talk about it, is that he found Jim Crow so repugnant, and he connected it to the fact that he was half-Jewish. His dad was Jewish, and until his star began to rise, he was excluded. He was restricted from where he could actually circulate. Barry Goldwater Jr., former California Congressman, serving from 1969 to 1983. Elizabeth Shermer, assistant professor of history at Loyola University Chicago and editor of "Barry Goldwater and the Remaking of the American Political Landscape." This segment aired on June 21, 2016.